The Roaring Fork Aikikai kids' test curriculum applies to all students ages 5 to 14. 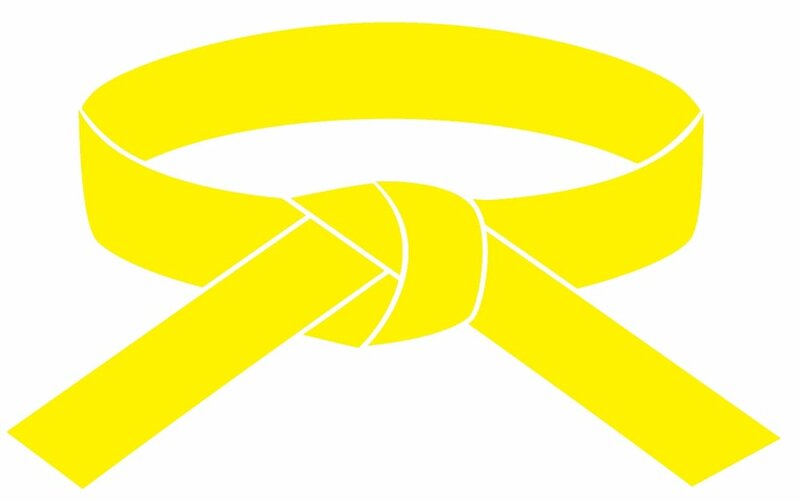 Kids' belt rankings apply until they matriculate into adult classes, typically at age 15. Tests provide kids with structure and a sense of progress, and these techniques will provide grounding in the principals of aikido. Teachers will inform each student when they are ready for the next test. The number of training days listed below to qualify for each test are used as a guide, but the Roaring Fork Aikikai staff may increase or decrease the training days needed for the next test based upon each student's particular aptitude and needs. Students should be prepared to demonstrate the techniques on the test which they are taking, as well as techniques from all previous tests. Demonstrate basic dojo etiquette and basic aikido posture, movements, and rolls. All 11th Kyu techniques are performed without a partner, with the exceptions of Tai No Henko and Kokyudosa. Bowing/Rei - From seiza, bow towards sensei, left hand first, bottom stays down. Right hand lifts first, return to seiza. Rise from Seiza - Right foot first, left leg bent underneath, rise to standing. Hanmi Migi - Basic aikido stance, with left foot forward, body weight distributed equally in a triangular stance. Means "half-body". Hanmi Hidari - Basic aikido stance, with right foot forward, body weight distributed equally in a triangular stance. Means "half-body". Irimi - Enter towards opponent. Single step forward with back leg. Kaiten - Rotate hips to change direction of stance 180 degrees. Tenkan - Turning movement. Pivot front foot inward while bringing feet together, then stepping back with opposite foot. Tenshin - Back foot moves over one footprint, front foot slides out of the way and back. Shikko - Knee walking, forward, backward and turning. Suwari Waza Irimi Tenkan - On knees, perform Irimi Tenkan. Ushiro Ukemi (half) - Half back roll. Tai No Henko - One-wrist grab, person being grabbed performs tenkan and sinks low and heavy. Kokyudosa - Sitting breath throw. While seated in seiza, opposite partner, partner grabs both hands. Raise hands, taking partner's center, drop hands and apply pin. Katatetori Kokyuho (omote/ura) - Breath turning movement. Katatetori Sumi Otoshi (omote/ura) - Corner-drop throw. Aihanmi Katatetori Kokyuho (omote/ura) - Breath turning movement from cross-hand grab. Ushiro Ukemi - Back roll. Bottle Fill! - Fill up a water bottle from the Roaring Fork Aikikai drinking fountain without spilling a drop (dojo exclusive technique). Prior to testing, should be demonstrating leadership skills in kids' class, assisting the teacher when called upon to lead exercises and to mentor less experienced students. Should be demonstrating leadership skills in kids' class, assisting the teacher when called upon to lead exercises and to mentor less experienced students. May be invited to participate periodically in adult classes. Roaring Fork Aikikai is an Aikido dojo founded in 2017 in Carbondale, CO, serving the Roaring Fork Valley including Aspen, Snowmass, Basalt, Carbondale, and Glenwood Springs.